The first 72 hours following a natural disaster or emergency are of the utmost importance to save lives. This is why CADENA created the Go Team, a rescue team prepared to respond to any emergency. The Go Team undergoes constant training with the purpose of being always ready in the face of any national or international contingency. 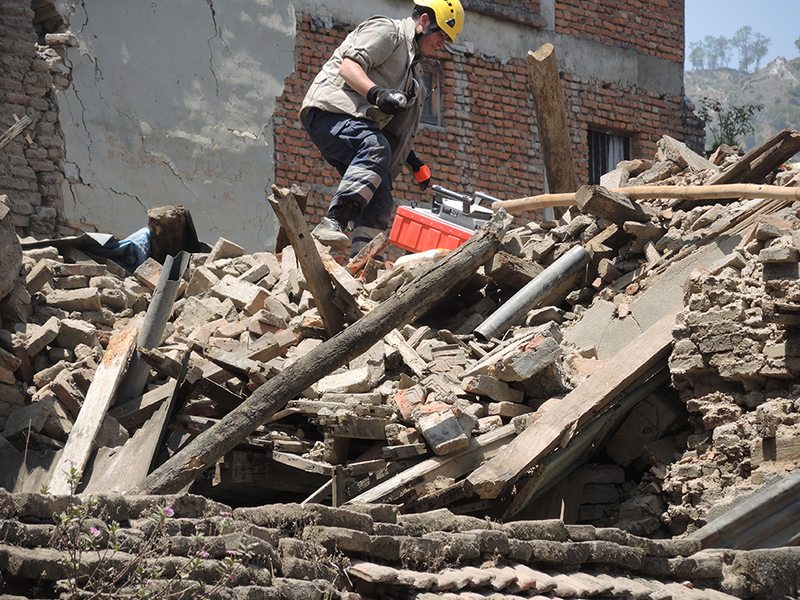 The Go Team is specialized in rescuing in collapsed structures in white water, since earthquakes and floods are the most common disasters in Mexico. The Go Team is also trained for high altitude and confined spaces rescues, civil protection matters and other emergencies. Our Go Team is the first to arrive to a disaster area, and immediately performs an assessment of the situation; with this information CADENA can determine what kind of mission should be sent to that area. Explosion in the Pemex Tower, 2012. Explosion in the Cuajimalpa Children´s Hospital, 2015; Collapse of the Hueyetlaco bridge, 2017.